One of the main reasons people aren’t buying homes is they think they can’t afford it—especially the down payment. 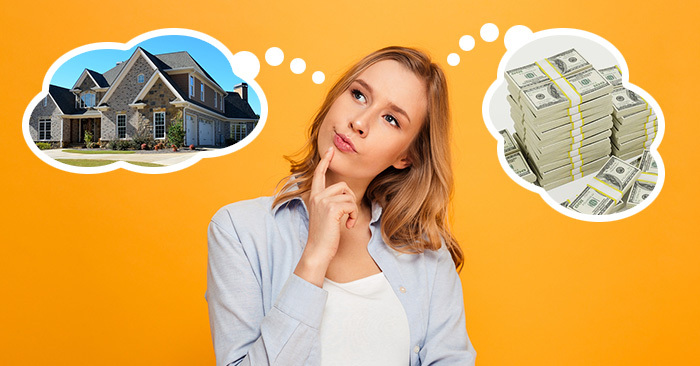 But, as it turns out, there are plenty of buyers out there who actually can afford to purchase a home, but their misconceptions about affordability are holding them back from making a move. According to a recent survey from lender Laurel Road, 53% of Americans are concerned about their ability to afford a home. But a lot of that concern is because they don’t know what their options are. A solid 58% of Americans surveyed said they planned to put down a 20% payment on a home, but 35% (and 46% of millennials) didn’t think they could afford to save that kind of down payment. But with alternative lending options, you don’t need 20% in order to buy a home! According to the National Association of Realtors, the median down-payment for first-time buyers is at 6%—significantly less than the 20% the majority of Americans believe they need in order to purchase a home. Your misconception about how much you need for a down payment could be holding you back from purchasing property. Explore the alternative loan options available to you and make your dream of owning a home a reality!